"What are you standing around for? Nessus is more than just a hop and a skip away from my Shore. Get going!" 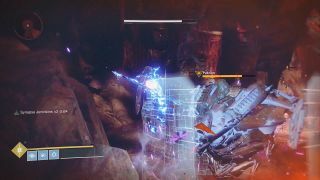 Pakrion is a Vex Hydra encountered in the Lost Sector Ancient's Haunt.